Favourite food: Pasta and meat. I was asked to ref while still playing, but had to try it. Knowing that I have to work hard every day to keep myself on top. To Show everyone that I can do it. Use every opportunity you get to make your mark. 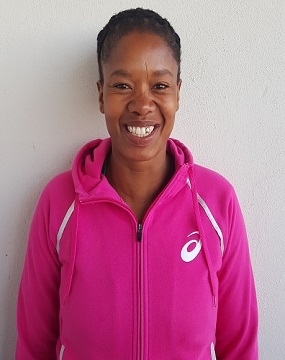 I work at Matjhabeng Municipality in the Sport and Recreation Department, also involved with community activities - helping young people to get into rugby and coaching. When I started playing rugby I was a loose head prop.